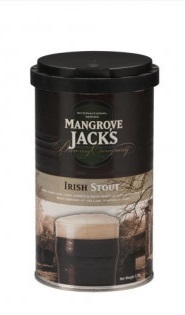 After my relatively successful effort with the Mangrove Jack's Dutch Lager kit (review), I thought I'd have a crack at their Irish Stout. Brewed in the normal good manner of proper sanitization, careful cleanliness and a half-assed attempt to keep the brew warm during these winter months by wrapping it in several sheets, I am expecting a stock standard stout but I'm quite keen to compare it to Black Rock's Miner's Stout as I've brewed a fair few of those in the past year and found them to be excellent brews. I'm keen to see how creamy the kit is. 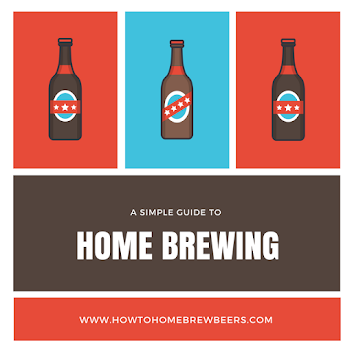 I prepared the kit and added a beer enhancer that was specifically tailored to a stout and then left the unit in my shed outside to ferment. During fermentation in the shed, we had our first winter frost. Not ideal for an ale but whatever. I waited 10 days before conditioning at which point I batched primed with 70 mls of sugar that I dissolved in boiling water. Honestly, batch priming makes it so easy to get a consistent brew across the batch and reduce the chances over an over-sugared bottle doing a gusher. I don't know why I was so reluctant to do so! So it's now been over a week since I bottled condition, so I'm going to have a sneaky sample. I left the beer in the fridge overnight so the ale was nice and cold. It felt like it had a good body and it tasted like an ale but one that clearly needed to condition a fair bit longer. Week 2. A wee sample after a nice chicken korma proved to be an odd, but a rewarding combination. The stout has settled somewhat. Detected a hint of coffee which I expect will be gone in a week or two. Week 3. This beer has turned out OK, I've made enough beers to know that if I give this batch another month to the condition it will be fine but nothing to write home about. I suspect I over sugared the batch as the beer gets quite the head when being poured. I'd say 50 to 60 grams probably suits. The slight coffee notes remain. Given this was actually the cheapest beer kit I've ever bought, the resulting beer is pretty fair. I do however prefer the Black Rock Miner's Stout over this.